Those who engage in contemplative practice know its positive effects, but documenting its value to others is not always easy. 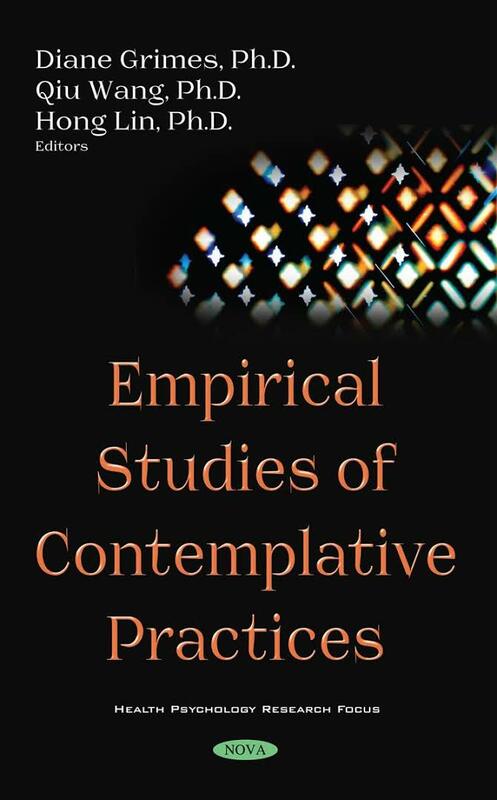 Several Syracuse University professors, representing a number of different disciplines, have contributed to a new book, “Empirical Studies of Contemplative Practices” (Nova Publishers, 2018) that explores the question of how to research contemplative practice to better illustrate its value. The authors will hold a book launch, “How Do We Know It Works? Reflections on Empirical Studies of Contemplative Practices,” on Friday, Feb. 15, from 12:30 to 1:30 p.m. in 123 Sims Hall. Panelists will be author Joshua Felver, assistant professor of psychology in the College of Arts and Sciences; author Rachel Razza, associate professor in the Department of Human Development and Family Science in the Falk College; and author and editor Qiu Wang, associate professor in the School of Education. The Syracuse contributors, representing a wide variety of fields and disciplines across the University, came together to collaborate. They include Diane Grimes, associate professor of communication and rhetorical studies in the College of Visual and Performing Arts (author and lead editor); Dessa Bergen-Cico, associate professor in the Department of Public Health, Food Studies and Nutrition in the Falk College (author); Nicole Fonger, assistant professor of mathematics in the College of Arts and Sciences and the School of Education (author); and Mark Costa (research assistant professor in the School of Information Studies (author). Several graduate students also contributed to the book. A reception will follow the panel discussion, and copies of the book will be for sale at the event. All are welcome to attend. To request accommodations, contact Grimes at dsgrimes@syr.edu or 315.443.5136 by Feb. 5. Sponsors are the Humanities Center; the Contemplative Collaborative; Communication and Rhetorical Studies; and Writing Studies, Rhetoric and Composition. “Empirical Studies of Contemplative Practices” attempts to associate the interpretation of contemplative approaches to scientific studies. It draws on expertise from a range of disciplines, including psychology, applied statistics, health sciences, neuroscience, communication, computer science and information technology; examines the critical processes of contemplative approaches; and aims to guide the scientific research of contemplative practices. The book includes pedagogical and experimental aspects of studies such as research design, measurement, program assessment, statistical modeling, data mining, technology integration and evaluation. The book has been endorsed by Sharon Salzberg, a key figure in the field of meditation, who says “this multidisciplinary collection of work does an excellent job of sharing the progress to date and pointing towards the next steps.” Its cover is designed from photos from 123 Sims Hall, a meditation classroom on the Syracuse campus. The authors say the book could have broad appeal in scholarly areas such as life sciences, psychology, communication, health care, education and data science. They want to draw attention from meditation practitioners and those who are interested in religious and philosophical studies, as well as the broader public. “We hope that the systematic study of contemplative approaches can make an impact on the larger population in their daily lives,” Grimes says. Grimes, Razza and Felver are the director and associate directors, respectively, of the Contemplative Collaborative on the Syracuse campus. The collaborative supports students, faculty and staff who engage in contemplative practices, as well as teaching strategies, scholarly research, and discourse surrounding these practices, with the goal of cultivating focused attention in ways that foster insight and deepen understanding of complex issues. The Contemplative Collaborative bridges student life and academic life through a community of faculty, staff, administrators and students with shared interests in mindfulness and contemplative practices that embody engaged learning, a mindful academy and compassionate society. This community is composed of more than 170 members, representing diverse disciplines and offices across the University. The collaborative aims to enhance student development and promote academic excellence in tandem with personal well-being. It was a 2015 recipient of a Center for Contemplative Mind in Society’s Teaching and Learning Center grant.